Bank of QLD, also known as BOQ is different to a lot of banks as over half of their branches are basically franchises and owner managed and primarily based in Queensland. With really sharp interest rates, and some good home lending products BOQ has fast become one of Queensland’s most popular banks. In recent years BOQ has also bought Virgin Money and Investec (now called BOQ Specialist) which has given it a large base of younger clientele and medical professionals like doctors and specialists. Today I review Bank of Queensland (BOQ)’s home loans and put them through their paces. Note: BOQ has increased its home loan rates effective Friday 11 January 2019 by the following amounts. The interest rates used in this review have not been updated to reflect these changes yet. If you have been affected by these changes, speak with our Mortgage Brokers to see if there are better interest rates available for you. What are BOQ’s Home Loans like? What are BOQ’s Interest Rates? What documents does Bank of QLD need for a home loan? How much can I borrow from Bank of QLD? What else does BOQ Offer? How is owner-manager banking different to regular banking? 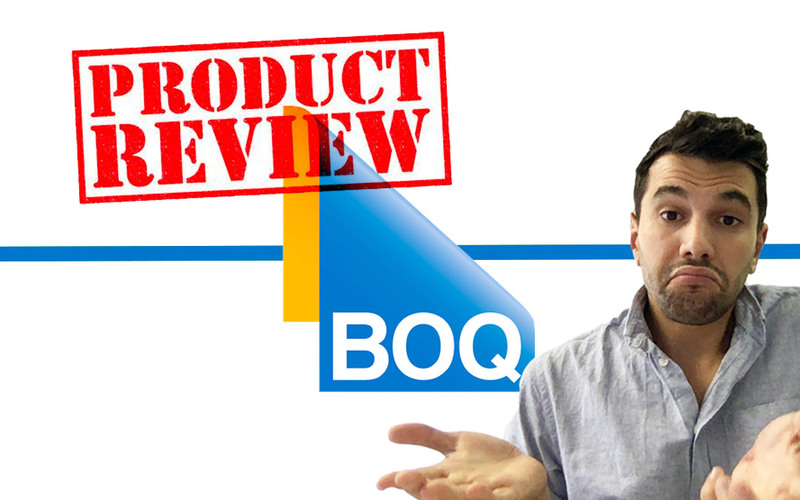 What are some BOQ Customer Reviews? How does BOQ compare to other banks? Note this review, interest rates and product information is correct as at 3rd December 2018 and all of this information is subject to change without any further notification. Any applications for credit are subject to meeting the specific bank’s criteria and the decision is at their final discretion. ✅ Super High Customer Satisfaction: BOQ customers gave the bank high scores for service, friendliness and responsiveness with an overall customer satisfaction score of 87.2% (average Big 4 Bank Net Promoter Score was 78.50% in May 2018). ✅ Great Interest Rate Discounts if you are applying at the right time, special rates for professionals: Bank of QLD can give lots of really good interest rate discounts at different times in the year, including special variable rates on loans with higher deposit amounts like a 20% deposit can get you introductory rates of 3.58% (comparison rate 4.19% as at 3 December 2018). ✅ A comprehensive suite of commercial loans and business products: Starting in Queensland, BOQ initially catered for smaller business and have a really strong range of business accounts, commercial property loans and credit cards for businesses. ✅ Community members involved in the branches: A large part of Bank of QLD’s marketing strategy is supporting their local communities, so the branches get involved in lots of community partnerships and fundraising activities provided it alights with their business objectives and supports their core beliefs. ✅ Complicated home loan applications involving trusts: The Bank of Queensland are surprisingly good at dealing with home loan applications involving companies and trusts, and in particular will allow Hybrid Trusts’s as acceptable borrowers (many banks do not allow this type of entity) where the LVR is 80% or less. ⛔️ Interest Only Home Loans: Being a smaller bank and with investor lending limitations imposed by APRA BOQ has less scope to be highly competitive on interest-only home loan products. When compared to the larger banks BOQ’s interest only interest rates are slightly higher and less flexible. ⛔️ Strict credit criteria: They can be much tougher around your type of employment, and how they verify your income. For example, if you are buying a home and are borrowing 85% of the property value in addition to providing your payslips to BOQ they will ring your employer to verify you are working there. ⛔️ Slower Turn Home Loan Approvals: As BOQ will offer really good interest rates throughout the year it can cause a massive influx of home loan applications, causing their credit and processing teams to slow down. In the past, this has caused internal processing issues and it can take weeks for home loans in QLD to get approved. ⛔️ Properties that are unique: The bank has much more strict criteria around properties in mining towns, high-density apartments and units and other unique types of properties. For example, there are limitations in the maximum lending limits if you are buying an apartment in Brisbane (postcode 4000), Newstead (postcode 4007) or Teneriffe (postcode 4005) in Queensland. ⛔️ People with bad credit: Bank of QLD aren’t able to help people with bad credit, like discharged bankrupts due to their credit policy. Under 80% of the properties value, BOQ might consider a lower credit score on a case by case basis. The Bank of QLD Privileges Package Home Loan is similar to most banks professional packages where you receive a discounted interest rate, and other banking products under one annual package fee. The variable home loan rate under BOQ’s package is called the Clear Path Variable Home Loan. ✅ Fee-saving on all loans under the package. ⛔️ Additional repayments of up to $5,000 per year. ⛔️ Fixed Break costs could apply if you repay the loan early. The downside to BOQ’s fixed rate home loan is only allowing additional repayments of up to $5,000 per year because most other banks allow up to $10,000 per year (and more in some instances). A basic home loans just that, a loan that is cheap and cheerful – but has fairly limited features and very few fees. You can save money using a basic product like the Economy Variable home loan if you do not need any of the other fancy features available under the Privileges Package like an offset account and discounts on credit cards. The downside to this product is that it is only available for new lending only, so if you are an existing BOQ customer you aren’t able to switch to this product. Bridging Finance allows you to buy your next house before you sell your existing one. In other words, a bridging finance home loan lets you purchase and move into your new house, and give you time to sell the existing one. Bridging Finance Home Loans are great if it is going to take you a little bit longer to sell your existing home, or if you don’t want to move into a rental while you find a new place. The downside is the interest rate, application fees and the fact you still need to maintain interest repayments on both the existing home and the new one. Specifically, BOQ’s Bridging Finance Home loan is quite expensive, other banks do not charge a higher rate during the bridging period and some other banks will allow up to 12 months bridging term – compared to BOQ at 6 months. In Queensland, BOQ has a fairly strong Commercial Rate Loan offering. This is a fully secured investment product created for property developers, property investment of business acquisition purposes. They can use a residential property as security, in addition to commercial property, business assets and directors guarantees. This product is fairly popular with Property Developers and Investors in Queensland. The actual interest rate margin is priced on risk, but if Bank of QLD is interested in a particular asset or developer they will price to compete against some of the biggest banks out there. Bank of Queensland’s home loan interest rates is fairly competitive when compared to the big 4 banks. They can be hyper-competitive depending on the time of the year, and in recent times have had market-leading interest rates. From time to time BOQ offers special interest rates to mortgage brokers, they are based on different criteria including the loan to value ratio and type of property with lower rates if you are buying or refinancing a home that you live in (often referred to as owner-occupied). This is BOQ’s professional package and is only available on new home loans and subject to Bank of QLD’s credit criteria. Interest rates as at 3rd December 2018, based on owner-occupied purposes, principal and interest repayments and subject to change without any further notice. BOQ regularly offer non-advertised rates directly to Mortgage Brokers that they do not openly advertise. If you would like to know more info, call us on 1300 088 065 or get in touch. Interest rates from BOQ’s website Monday 3rd December 2018 and subject to change at any time without any further notification. Our mortgage brokers can help with arranging larger than standard discounts, call us on 1300 088 065 or get in touch to have a chat. ☑️ Most recent statement showing all continuing liabilities – i.e. any open credit card, personal loan, or overdraft statements. Where they are a bit different from some of the bigger lenders are requiring more information if you are in casual employment, contract employment or if you receive bonuses and commission. You can download their application form here. ✳ If you are in casual employment, you need to be in the same role for at least 6 months, they will need your 2 most recent payslips AND most recent year’s PAYG Payment Summary (also known as a group certificate). ✳ If you are in contract employment, they need your 2 most recent payslips AND a copy of your employment contract with evidence of the remaining contract term. ✳ If you receive a bonus, regular commission or over time they will need your 2 most recent payslips AND see evidence of at least 3 months minimum employment with the same employer with the most recent year’s PAYG Payment Summary (also known as a group certificate) AND confirmation from your employer that overtime is a condition of employment. ✳ Retirement Rule if you are aged over 44 years old, and will be over 69 years or older at the end of the loan term BOQ will need details on how you will continue making loan repayments or be able to reduce your home loan upon retirement. There are strict criteria if your superannuation will form part of this, and they will require extra evidence of your superannuation balances through a statement. For the majority of applicants these aren’t extremely onerous conditions compared to some lenders, but if you are aged over 44 years old there are a few more questions to answer so I rated them 3.5 out of 5 in terms of documents required. ✅ Figures as at 26 November 2018, subject to credit criteria and will change without notification. As you can see from the results, BOQ is at the upper end of providing borrowing capacity when compared to the list of other lenders and around $53,000 higher with a borrowing capacity of up to $348,150. BOQ is a fully licenced bank, similar to most of Australia’s big 4 banks like the Commonwealth, Westpac or even smaller credit unions like Gateway Bank the Bank of Queensland has access to home loans, transaction accounts, personal loans, savings accounts and insurance. Unlike their subsidiary BOQ Specialist, they look after all sorts of customers. Practically speaking, an owner-manager branch is similar to a regular bank branch. You can go there and make deposits, withdraw cash and complete your regular banking (that is assuming you need a branch). The majority of our customers these days conduct 99% of their banking online, so a regular branch or owner-manager branch doesn’t really make a massive difference. The disadvantage with Bank of Queensland is a lack of branches if you are located outside of Brisbane. As we covered above, BOQ’s customer satisfaction ratings are some of the highest for an Australian bank over 87% compared to the major banks whose customer rate them 78.50%. The reviews of Bank of QLD online can be fairly mixed.